– New suspension – ideally adjustable. 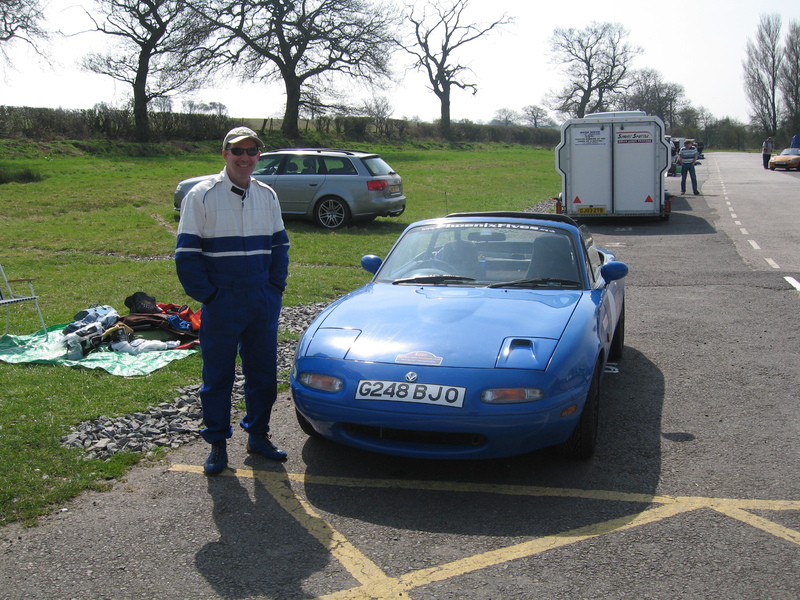 Yesterday, I drove up to Curborough for an HSA Testing Day. It was glorious weather and there were only about a dozen of us there so we had as many laps as we wanted –all for £53! Exceptional value – Thanks Steve & Kathryn! By the afternoon I thought I had the track sussed and was feeling very pleased with myself. Then Steve started talking to me about balancing the car and how I should short change up to third on Paddock Bend and not brake until the Mole Hill. He got in the passenger seat and we did a few circuits at 40 mph just trying to minimize inputs. My original approach felt fast and furious but Steve’s smooth approach is undoubtedly faster. I just wish there had been timing equipment there to measure the difference. Anyway, to return to that list of mods at the beginning, I’ve decided after a day at Curborough that the car handles fine. The new Proxes tyres are fantastic and I probably don’t need to mess with my suspension at all. It’s soft but feels predictable to me so I’ll leave that alone. If I had fully adjustable suspension It would be one more thing to get wrong! As for the AC, I’m not sure it’s within the rules to remove the AC. Certainly you aren’t allowed to remove the heater from cars in the roadgoing class and since I use the AC, I’ve decided to keep it. What I do need to sort out though is the seat. The present seat forces the harness shoulder straps to the side and I can never get comfortable. I did buy a new seat at Christmas but it wouldn’t fit with my rollover bar. Mark has a Lotus Elige seat in his roadgoing car and it looks fantastic – very low and slim but the versions with cut outs to bring the straps through the back are just too expensive for me. Can’t wait to race at Curborough. The first HSA event is on June 13th.